Do you know an adult 18+ on the autism spectrum looking to build social and communication skills, become more employable, and meet some new friends? The spring 2019 session of Autism News NetWORK Level I is tentatively scheduled to begin April 22nd. 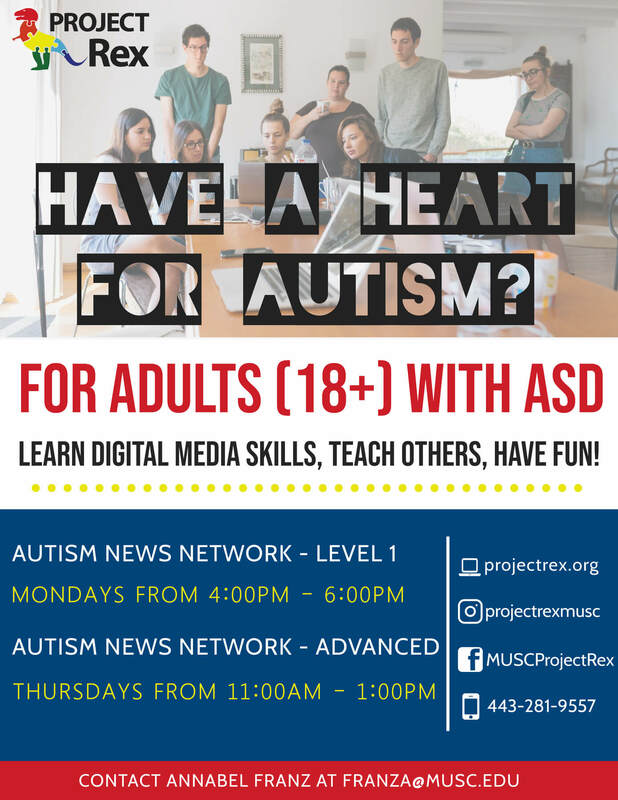 Email or call Annabel at franza@musc.edu or 443-281-9557 to learn more about the Autism News NetWORK program!